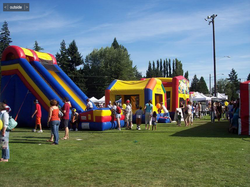 It's a great day anytime to get Party Rentals in Puyallup WA from your friends at Carnival Time. 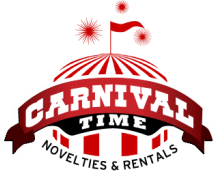 Located just outside city limits of Puallup, Carnival Time is your local provider, to get your party happening fast. You'll love free setup and take down service, all on your schedule. Give us a call at 253-471-1040 and we can setup a fast evaluation and give you a quote often right on the spot. Even package it all together and give you a little discount as well that you might not see on the site.